Handwovens have always interested me but I’ve somehow never known where to start. In my ideal world someone would say “this is the wrap for you” and I’d say “thank you very much, it’s perfect!” But that doesn’t happen and I know it takes people many tries to find a good one. So I have admired from afar but never dabbled; I’m a careful curator of my wraps and try to choose ones I think will stay. I stumbled on Taina’s Instagram account one day when she posted up a photo of her Sling Studio Punk and I followed her immediately. I loved her sense of style and photography and gradually I realised some of the lovely wraps she was sharing were ones she had woven herself. My eyes did this  and I messaged her to say how beautiful they were; we had a lovely conversation about her work. Taina is very modest about her work and says she is still learning but I think what follows is a small testament to her magic. So I joined the Facebook chatter group and have been watching her weaving process with great interest. I love the innovative blends she uses for her warps, let alone her wefts and think the faux crackle weave is beautiful – intricate, detailed and skilfully done. I love that you can absolutely see Taina’s design background coming through in her work. It’s professional, creatively interesting and clearly done with love. Today my little fantasy of the “right” wrap dropping into my lap happened because Haiku #42 has come to live with me. Taina had a sense of what I was attracted to in terms of aesthetics and blends via Instagram but her understanding was better than that. In selecting and sending #42 to me it’s like she has a sixth sense. It arrived in the most simple but cleanly made little case, tied with a twisted yarn and hand labelled. Inside, apart from the wrap was a little care card and a waxed packet of spare “just in case” threads. I loved this care over presentation for, though it may seem facile, presentation matters. It’s the first contact someone has with your product and should be a hint at what is to come. I took the wrap out of its case and stroked it. I cuddled the wrap all afternoon waiting to finish work and collect my girls; time couldn’t go fast enough. #42′ or as I call it “Raven” (name of the silk/seacell yarn used) is so soft, finely woven, silky and textured. It is a wonderfully complex hexablend blend that offers both softness and support. 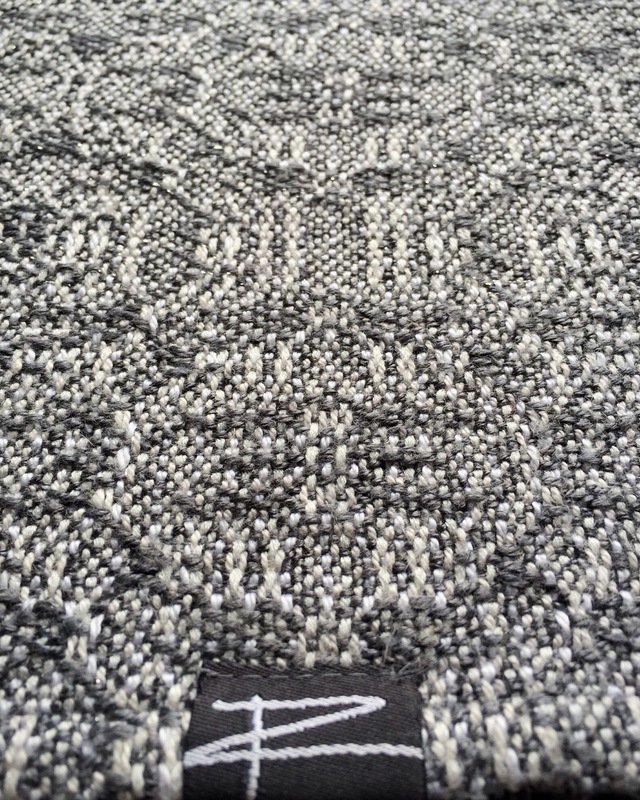 The warp is 59% cotton, 22% natural bamboo, 14% hemp, 5% cashmere and 1% glitter. The weft is a wonderfully luxurious 70% mulberry silk and 30% seacell. From a distance it looks like a simple monochrome wrap so I marvel at the nuanced hues of neutral colour that shows in the varied warp. It is delicate yet full of character and speaks to me totally. I literally threw my 18m old up into a Ruck Tas CCCB (my favourite carry ever) as I don’t have time for careful tightening when I’m collecting the girls from my childminder. It didn’t matter. 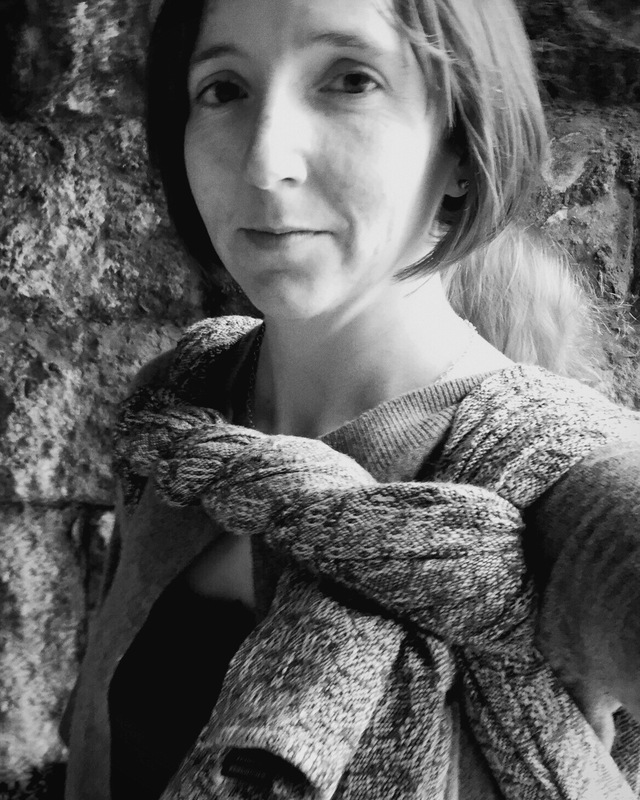 It tied so well and held in place with Smallest in a wonderfully deep seat; the wrap is bandage like, a second skin, not overly stretchy but just the right give and so gentle. She has been quite challenging to carry recently as she is a ball of pre-speaking frustration but the walk home was lovely. I held my 4 year old’s hand, chatted and ran with her as Smallest bounced on my back and laughed with joy . 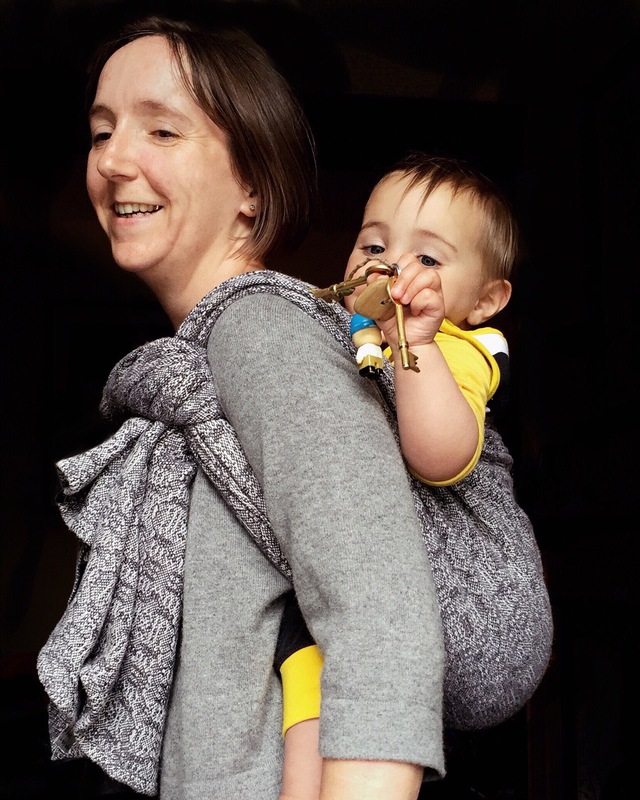 This is the epitome of the reasons I babywear; practicality, closeness, fun and beautiful weaving. Thank you Taina. I am so looking forward to getting to know #42 better. Taina’s Facebook page is here and she details her weaving process and put draws up for finished wraps in her chatter group here. You can find her Instagram account here.